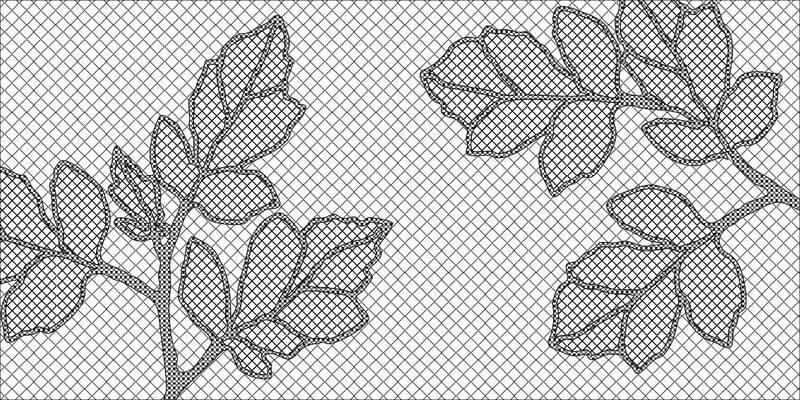 Picture a fabric on which you can direct each wire in order to form your desired shape. 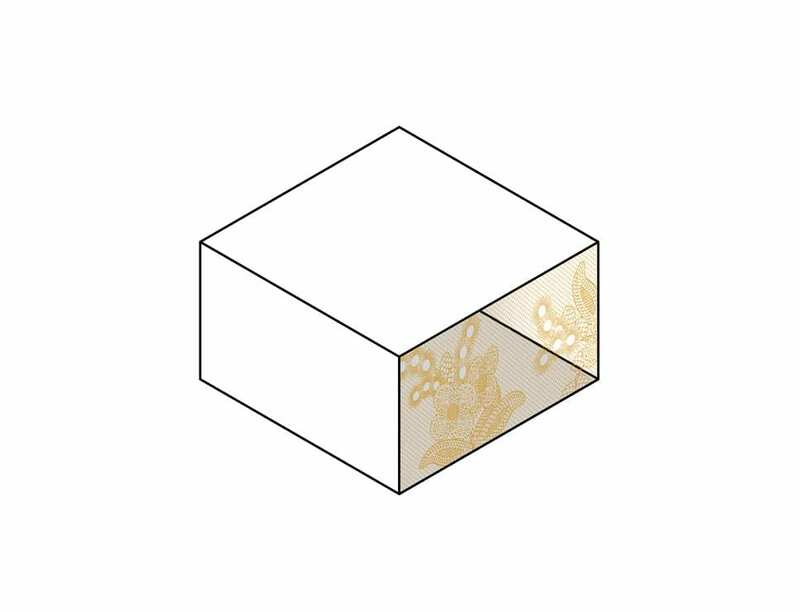 Vivid imagery, intricate patterns, bold graphic art; with LACE FENCE fabrics, this is possible. 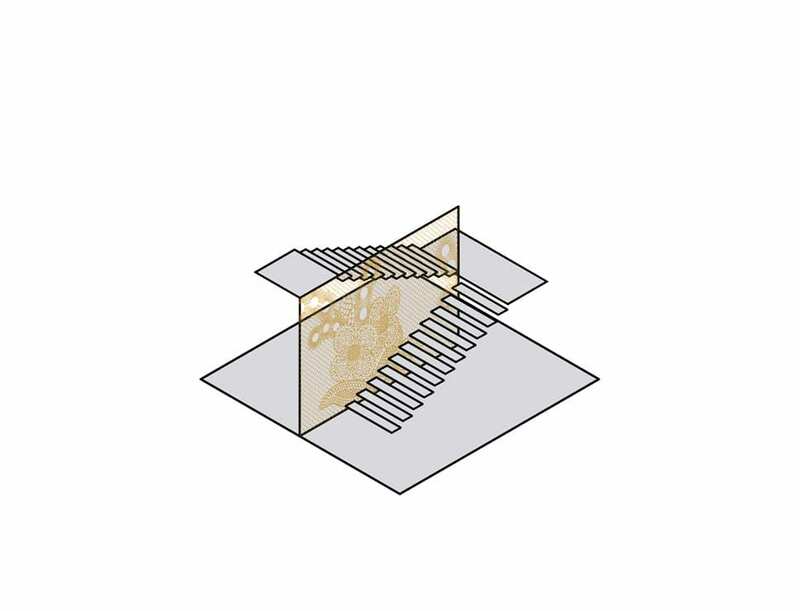 The system is simple: laced wires are merged into a wire mesh panel, and can serve as a fence, ceiling, railing or more. 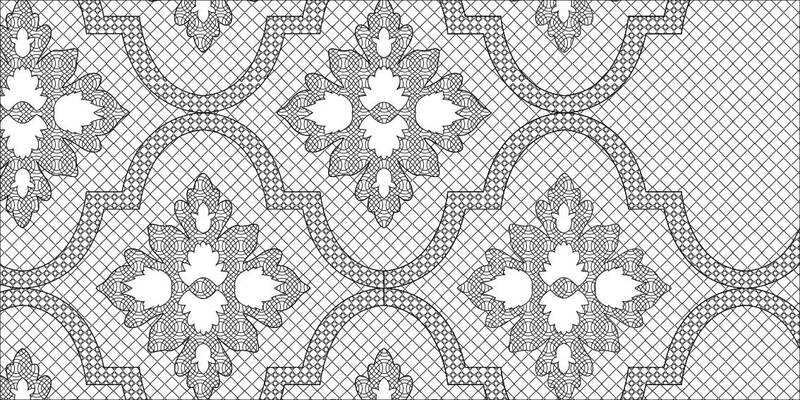 Whether you are looking to liven up a staircase with a custom designed pattern or install a statement-making screen around a sports park, LACE FENCE brings character to any surface and every setting. 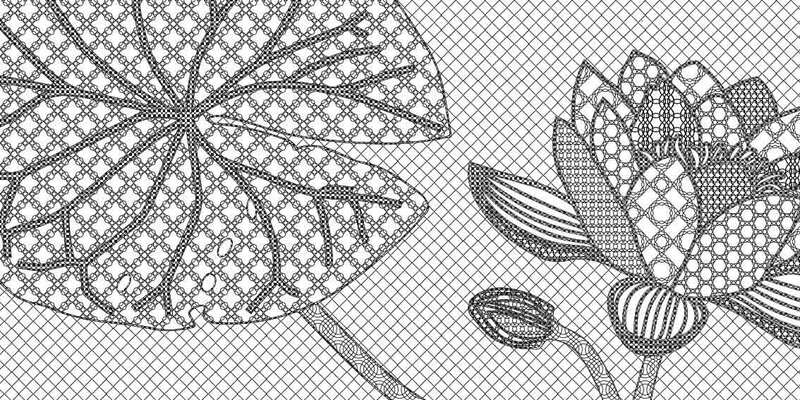 LACE FENCE is a play with transparency and imagination, transforming each setting into an extraordinary experience. 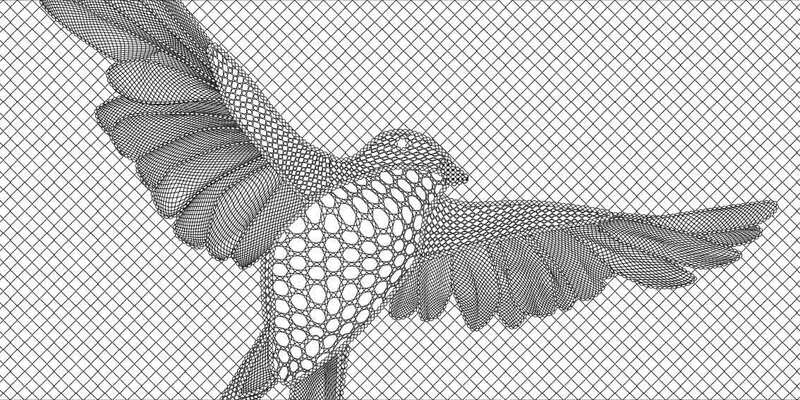 LACE FENCE can tell a story in architecture, by showing both artistic or functional images. The wide range of materials and finishes provides you with the freedom to give architecture and its surroundings a unique identity. 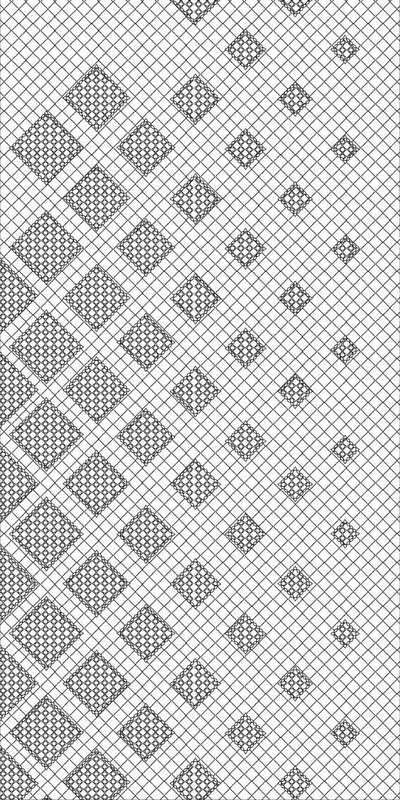 After working in close collaboration with architects and graphic artists for many years, we present our LACE FENCE pattern collection. The collection offers you the freedom to choose from a wide range of patterns and effectively redesign them to suit your own personal tastes. 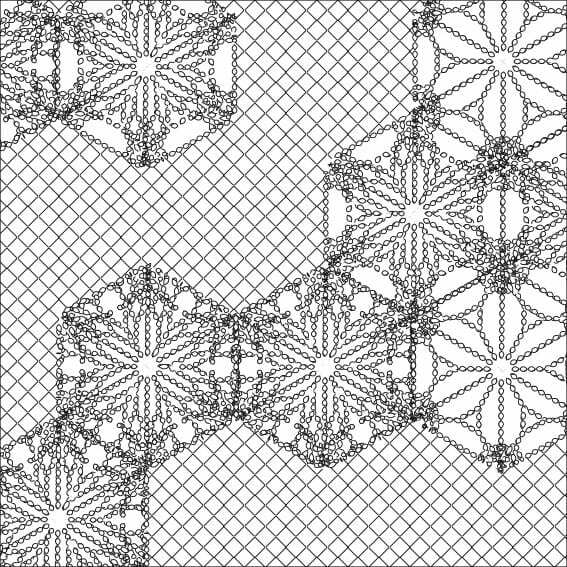 Each pattern is made of parts, ingredients so to say, and by moving them you can create a unique pattern. 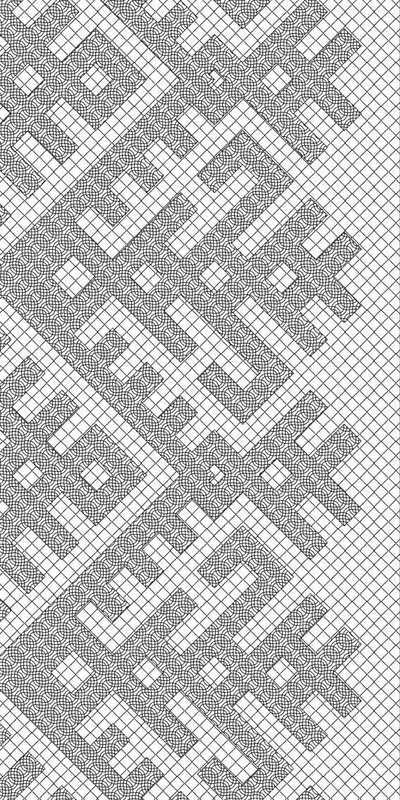 The height of the patterns shown below are 2 meters. They can vary in size, but 1 meter is the minimum. 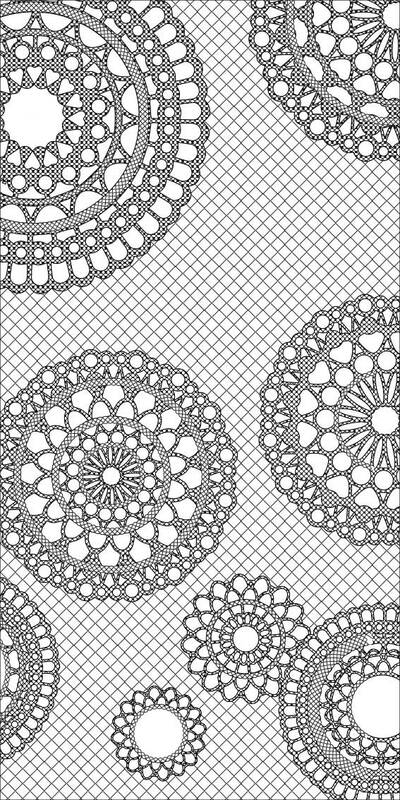 The LACE FENCE pattern collection is an opportunity to create a transparent silhouette of unique patterns on architecture. Sustainability is a key feature. 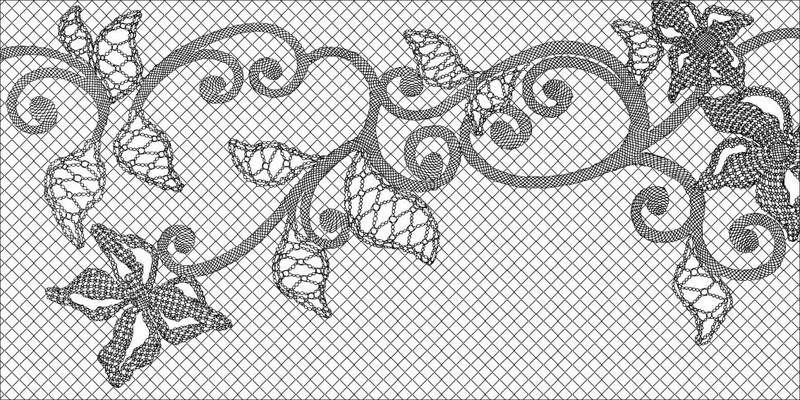 LACE FENCE is made of high quality grade metals. It is recyclable, even after a long life of use. It is a circular product. 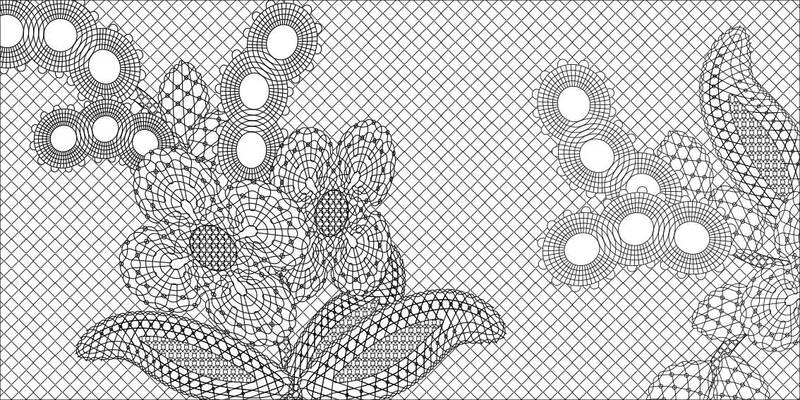 LACE FENCE is coated with PVC or powder coating, both have very high UV-resistance. LACE FENCE is extremely fire resistant and is not flammable on its own. LACE FENCE has proven to be suitable for many different environments, from -40 up to 40 degrees. For coastal areas and industries, the WELDED type is the most suitable. Due to its high tensile strength LACE FENCE can withstand intensive use. LACE FENCE is TNO tested and passes the sandbag-impact-test. 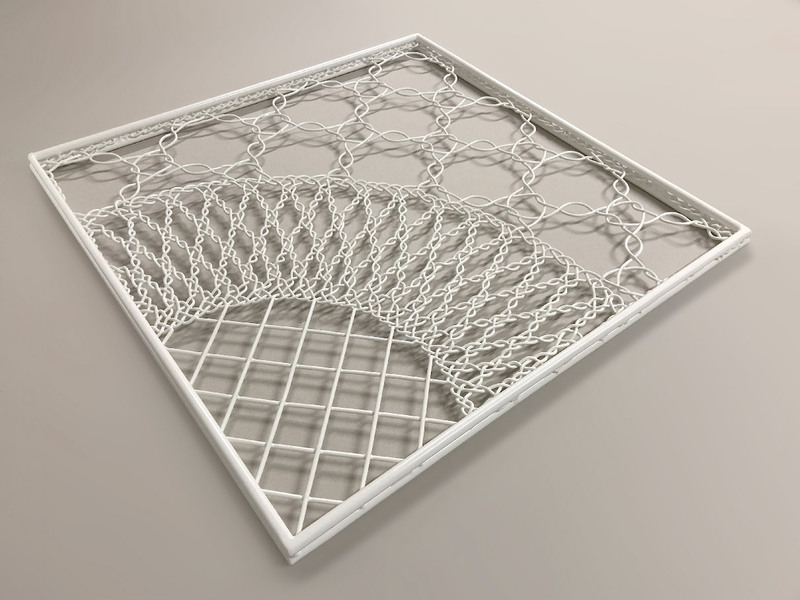 Aside from its aesthetic properties, LACE FENCE is manufactured to fit a wide array of indoor and outdoor uses. Ensuring safety, improving signspotting and providing privacy. LACE FENCE can be used decoratively and as a security enclosure. Openings can be changed to meet all your requirements. 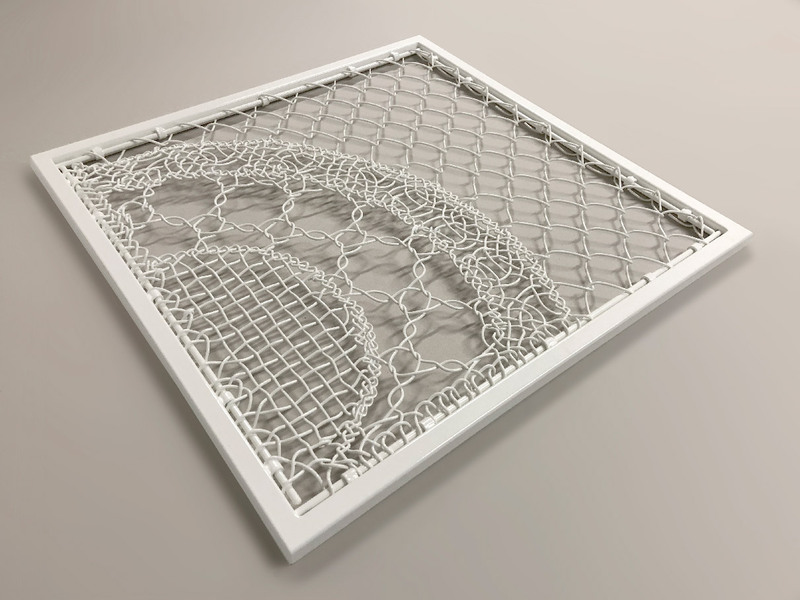 The UV-stabilized coatings make LACE FENCE suitable for outside. LACE FENCE WELDED has been developed especially to be the most resistant to vandalism. 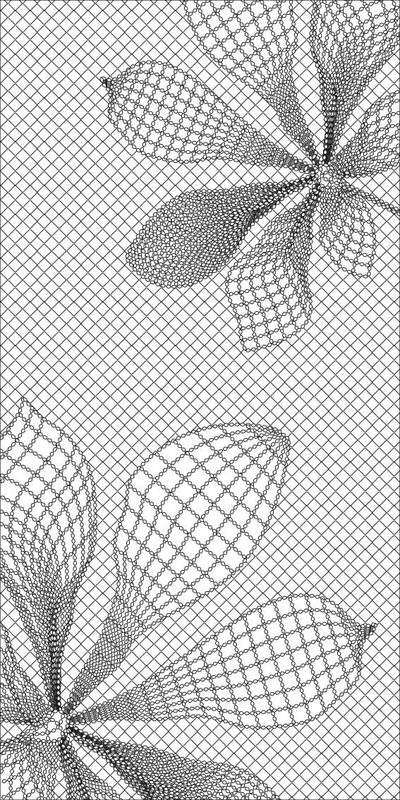 LACE FENCE is ideal for dividing rooms in a clear but subtle way, and the transparency still allows light to penetrate. 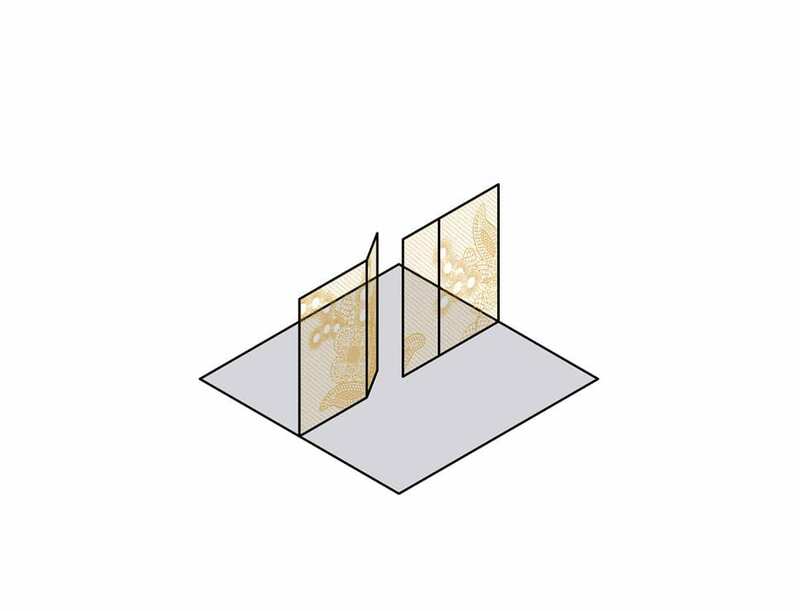 Due to its open character the fabrics allow natural ventilation in parking garages. 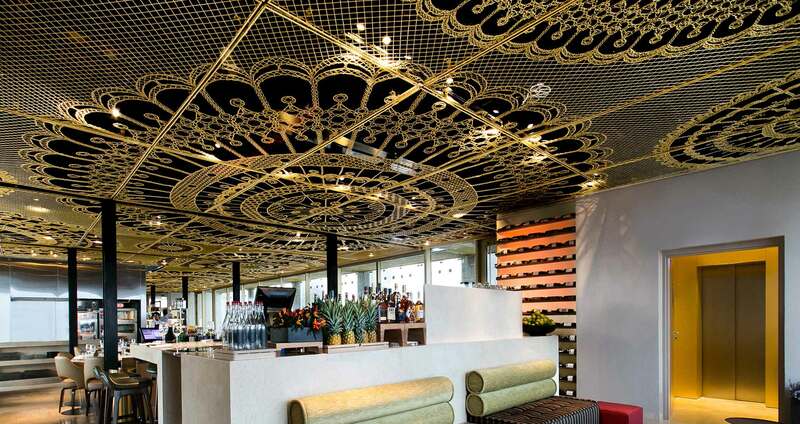 The special ceiling panels make it possible to project an endless pattern onto the areas above us. The panels are effective in hiding air, water, gas, and lighting systems. 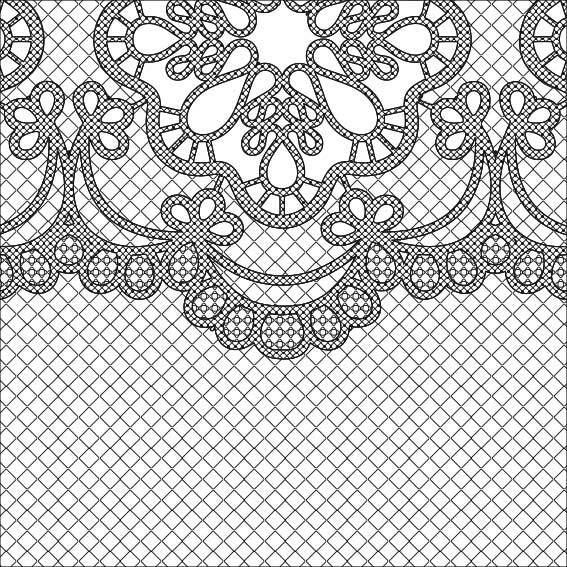 As wallpaper LACE FENCE can cover inside and outside walls for various purposes. Like upgrading a building during renovation, for example. 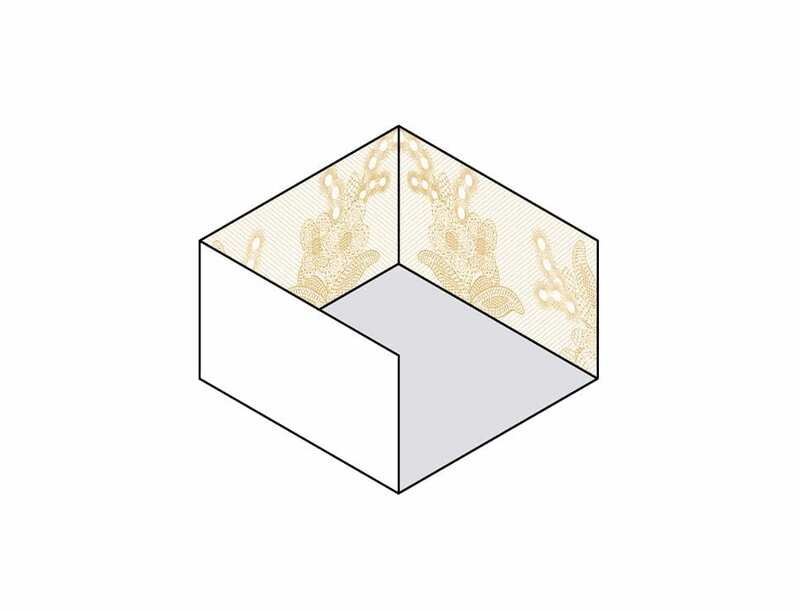 Because large spans can be made with the BENDED type, fewer subdivisions have to be created. Ideal for fall-through protection like vides or as an entrance net to protect pedestrians from falling objects. Ideal to close large staircase openings for safety, whilst maintaining the open character of the space. 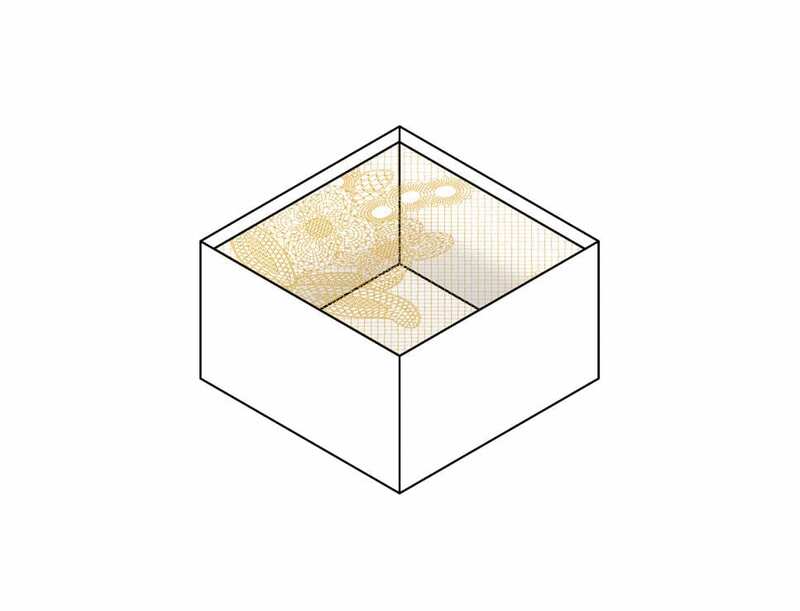 The specific mesh sizes of the fabrics prevent climbing and the fabrics fulfil the EU standards concerning fall-through protection. There are two types of LACE FENCE you can choose from. The Bended type or the Welded type. 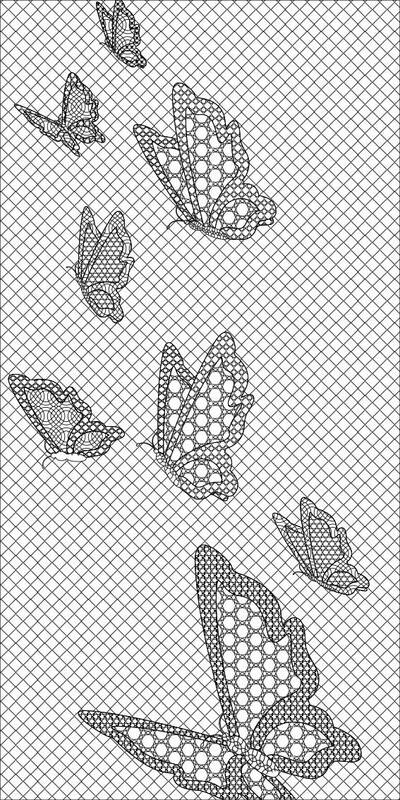 * Chain-link fence and handcrafted patterns combined. * Galvanised, Stainless Steel or White PVC coated wire. * Less rigid; mounting is required on all sides. * Can be delivered on roll. * Bigger dimensions are possible. 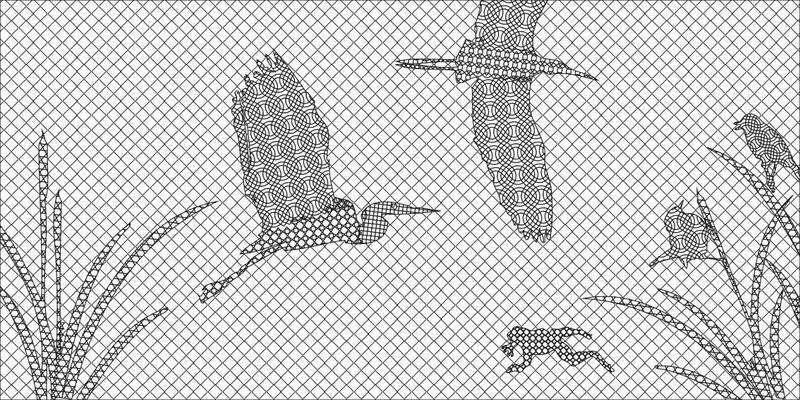 * Multiple FENCE mesh sizes: 40×40 and 50×50 mm. * Welded mesh and handcrafted patterns combined. * Moulded, galvanised, or stainless-steel wire. 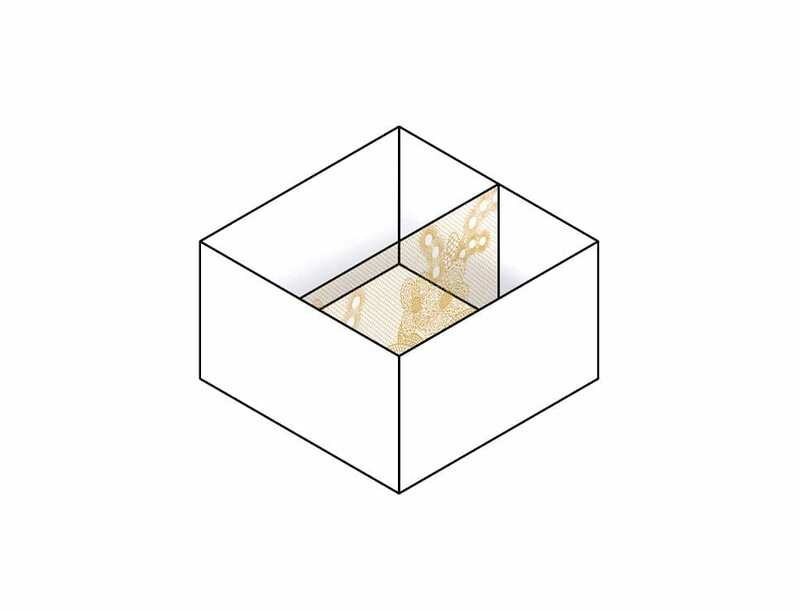 * More rigid; no substructure is required. * Can be powder coated in a wide range of colours. * Borders are finished with 6, 8 or 10 mm double rods. * Maximum panel size is 3 x 2 meters. 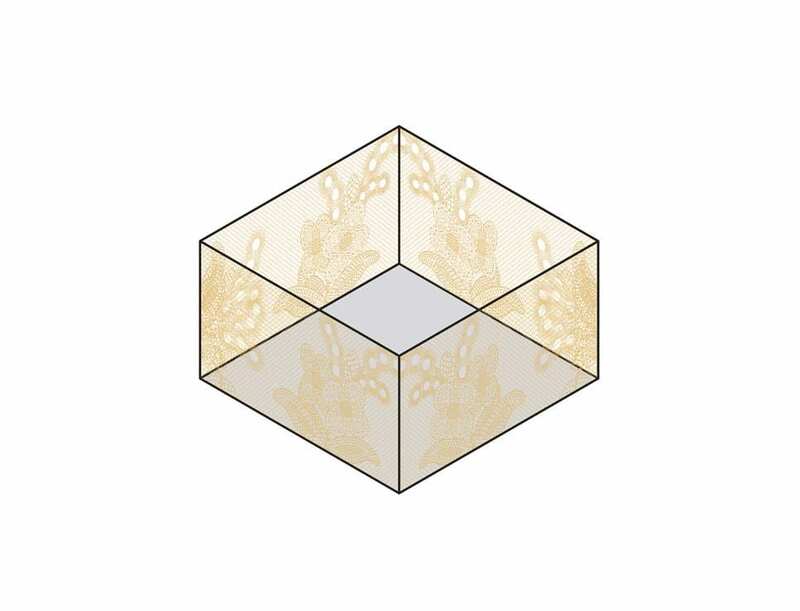 * The FENCE comes in one mesh size: 50×50 mm. 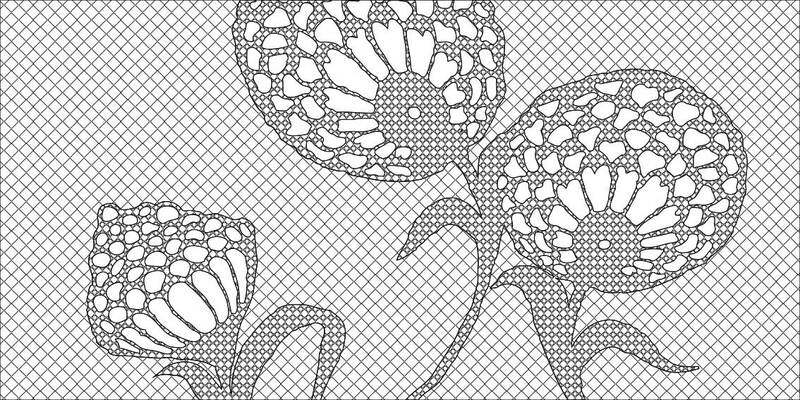 Lace Fence fabrics come in three types of mesh base material. Suitable for railings and room dividers. 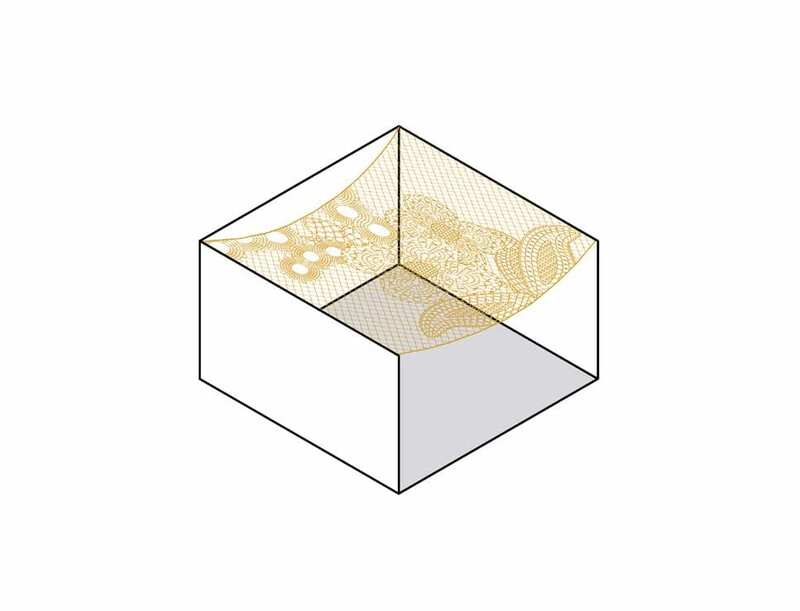 To give you even more insights into the possibilities and technical download the LACE FENCE product sheet. We are designers who build. 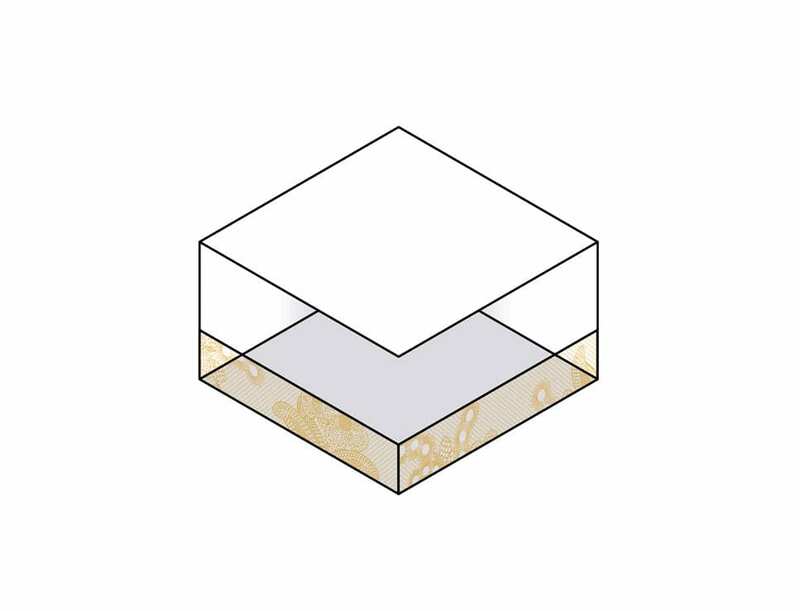 We produce architectural fabrics, and each square meter is unique. No repetition. No limitations. We adapt to your needs. We strive to make the world more beautiful. Copyright ©2019 by Redfort Fabrics. All Rights Reserved.